In June, two faculty members from Purdue will continue the training mission. Ramesh Vemulapalli, head of the Department of Comparative Pathobiology in the College of Veterinary Medicine and professor of veterinary immunology and microbiology, will give training for government officials in animal health diagnostics. Haley Oliver, assistant professor of food science, will provide training in food safety mostly to government officials and representatives of private industry and businesses. Oliver will be accompanied by a faculty member at Texas Tech University. "The zipTrips Team is making a difference by creating virtual field trips that connect thousands of students in hundreds of classrooms across the country," said Jay Akridge, the Glenn W. Sample Dean of the College of Agriculture. "Using a novel combination of materials and media, zipTrips are an innovative way to provide students with fun, engaging and memorable educational experiences in science." Committee for the Education of Teaching Assistants Excellence in Teaching Award recipients are selected by each academic department for their commitment to undergraduate education. This year's recipients include Purdue Food Science's Madhuvanti Kale. A Purdue University food scientist has developed a way to encase nutritional supplements in food-based products so that one day consumers might be able to sprinkle vitamins, antioxidants and other beneficial compounds right onto their meals. 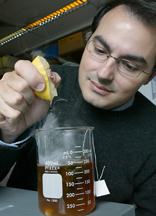 Carlos Corvalan, an associate professor of food science, said understanding how the additives work together means they could be designed to decrease the health, environmental and property damage risks caused by drift. Whistler Center for Carbohydrate Research has a proven record of success for providing the company members education opportunities including annual short course, annual technical conference, forum, and the coming International Hydrocolloid Conference. This year, Whistler Center first-time partners with IFT to hold the IFT Pre-Annual Meeting Short Courses in titled of Designing Carbohydrate Supramolecular Structures for Food at the LVH-Las Vegas Hotel and Casino on June 25, 2012. Liangli (Lucy) Yu, PhD '99, of College Park, Md., professor and acting chair of the Department of Nutrition and Food Science at the University of Maryland since 2009. Yu has published three books, 109 research articles and 13 book chapters, and holds one U.S. and one European patent. A fellow in the American Chemical Society-Agricultural and Food Chemistry Division, Yu has received the Young Scientist Award from that organization as well as from the American Oil Chemists' Society. A survey of undergraduates at Purdue and 13 other land-grant universities during the 2010-11 academic year showed that the average starting annual salary among undergraduates in agriculture and the related professions was $38,104, with the highest in food science at $43,953. "Cooking Up a Food Business in the Home Kitchen: Opportunities and Challenges of Starting or Growing a Home-Based Vendor Food Enterprise" will address issues of safety and profitability in three weekly webcasts beginning March 20. The webcasts will be streamed live online, so viewers can watch at home or at their local Purdue Extension office. The sessions also will be available as recordings. The National Science Foundation has awarded Purdue University and Ivy Tech Community College nearly $1 million to start a bachelor's degree program concentration focused on food and foodstuff supply chain technology. 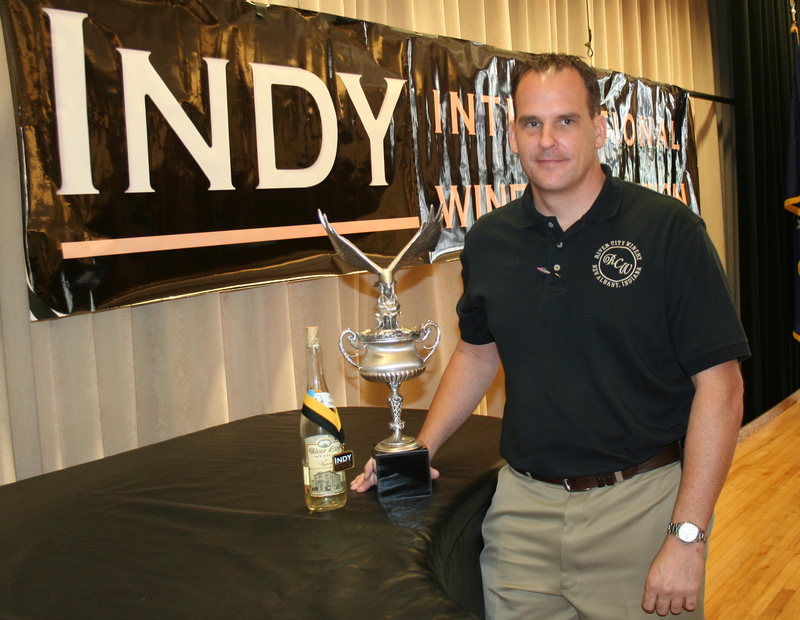 "Once again, the quality of Indiana wines stood out against thousands of entries from all over the world," said Christian Butzke, professor of enology and chief judge for the competition. "We had many truly spectacular wines this year, and the winners can be very proud of their exceptional winegrowing and winemaking skills." Food Microbiology has a reputation for being a tough course, and for her first teaching assignment, Haley Oliver knew she had her work cut out for her. Purdue Food Science graduate student Jason Mueller is highlighted the Northwest Indiana Times. Kevin Keener, an associate professor of food science, created a process for rapidly cooling eggs that is designed to inhibit the growth of bacteria such as salmonella. "People drink green tea for health benefits, so they want the catechins to be present," said Lisa Mauer, a professor of food science. "The instant powder beverages are becoming more popular for consumers, and it's important to know how storage can influence nutrition of your products." Lisa Mauer, associate professor of food science, has been appointed interim director of the Center for Food Safety Engineering, based at Purdue. The director, Richard Linton, will become chair of Ohio State University's Department of Food Science and Technology, effective Aug. 15. He also is a professor of food science and associate director of Purdue's Agricultural Research Programs. Mauer, a member of the center, received a bachelor's degree in food science from Purdue and a doctoral degree in food science from the University of Minnesota. Her research has focused on the effects of processing on functional, physical and structural properties of food ingredients, as well as pathogen detection. A search for a permanent replacement will occur over the next year. The annual Celebration of Graduate Student Teaching Excellence on Tuesday (April 26) included the presentation of numerous awards to graduate students. Gary E. Chenoweth, of Ballwin, Mo., recently appointed vice president, customer relationship leader, of Bunge Oils. Since 2004, he had been responsible for the marketing, sales, and profit and loss of all bulk soybean and canola oils sold in the U.S. Chenoweth entered the food science industry as a service representative for Durkee Foods in 1974. 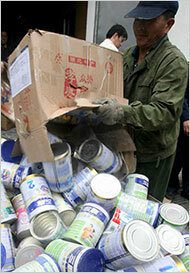 He joined Central Soya as a sales representative in 1980, working his way up to vice president of refined oils in 1999. He held that post for three years before joining Bunge North America as director of refined oils in 2003. Chenoweth received a bachelor's degree in food science from Purdue in 1974. The overall goal of the “Molecular Methods in Food Microbiology Symposium and Workshop Series” is to address and fill in knowledge gaps regarding molecular detection and subtyping of foodborne pathogens and spoilage organisms for industry professionals and graduate students being trained to work in the food industry. In order to realize this goal, we have assembled an advisory committee to address the challenges the industry faces today with respect to molecular methods. Food and vitamins aren't always what they seem. Lisa Mauer is uncovering new techniques to detect pathogens and discovering how to improve the quality and stability of our vitamins. The next time you grab a bite to eat at a restaurant, think of Rich Linton, whose work in food safety may help you dodge food poisoning. The Indiana Wine Grape Council and Purdue University started a marketing campaign last year called "Try on Traminette" to draw consumers to Traminette, a white wine known for being floral, fruity and citrusy. The Purdue Wine Grape Team recommended Traminette as the signature varietal wine for the state after years of winegrowing and winemaking experiments across Indiana. On January 4, 2011, President Barack Obama signed into law a new federal statute called the FDA Food Safety Modernization Act (H.R. 2751). The FDA Food Safety Modernization Act is divided into four areas: prevention of food safety hazards, detection of and response to food safety problems, improving the safety of imported foods, and miscellaneous provisions. The new law provides greater authorization for the Food and Drug Administration (FDA) and the Secretary of Health and Human Services (HHS) to increase inspections of many domestic food facilities, enhance detection of foodborne illness outbreaks, and order recalls of contaminated food products. The new law requires most food companies to write and implement new safety protocols to control or eliminate potential foodborne hazards. More oversight of imported food products is also included in the law and more provisions are in place to deny entry of food products into the U. S. under certain circumstances. The FDA Food Safety Modernization Act is the most significant update of U.S. food safety laws since adoption of the U.S. Federal Food, Drug, and Cosmetic Act in 1938. "Even more important than that is to give them the chance to be in a college environment," said Byron L. Ernest, who heads the school system's agriculture department that he started in 2004. He teaches Purdue courses in animal science, botany and food science. The most recent data from the Centers for Disease Control and Prevention (CDC), relative to foodborne disease outbreaks in the United States, was published this past summer in the Morbidity and Mortality Weekly Report (MMWR). CDC still estimates a total of 76 million illnesses occur annually in the United States, which amounts to nearly 1 in every 4 people. The most recent report provides information as to the causes of foodborne illness and types of foods implicated in foodborne illness incidents in the year 2007. The war he fights today: It’s against E. coli contaminations in spinach and lettuce. His experimental weapons are bacteria, which are proving effective as E. coli killers. The immediate battlefront is prevention. The goal is to figure out how to use the bacteria to prevent the contamination without making the lettuce and spinach brown and unappealing to grocery shoppers. Purdue scientists added E. coli to soil through manure application and water treated with manure and showed that the bacteria can survive and are active in the rhizosphere, or the area around the plant roots, of lettuce and radishes. E. coli eventually gets onto the aboveground surfaces of the plants, where it can live for several weeks. Activity in the rhizosphere was observed using a bioluminescent E. coli created by Bruce Applegate that glows when active. Five professionals received Outstanding Food Science Awards on October 7th from Purdue University's Department of Food Science. The 2010 Purdue Wine Grape Action Team Fall Workshop is designed for those getting started in a business or in the first steps of planning one. Participants will tour the Purdue vineyard and see demonstrations of small-scale commercial winemaking equipment and learn the basics of juice and wine quality control at the team’s pilot winery in the Nelson Hall of Food Science. We have just experienced one of the largest food recalls in recent history. A multi-state recall of whole shell eggs has been conducted because of their association with a foodborne disease outbreak from contamination with the Salmonella Enteriditis (SE) bacteria. In mid August, 2010 Wright County Egg and Hillandale Farms voluntarily recalled whole shell eggs from a number of farms. The current result has led to a nationwide recall of over a half a billion shell eggs and about 1500 associated illnesses. Lisa Mauer, an associate professor of food science, detected E. coli in ground beef in one hour using Fourier transform infrared spectroscopy, much less than the 48 hours required for conventional plating technology, which requires culturing cells in a laboratory. Mauer said spectroscopy could be done in the same laboratories, just in much less time. Daylong events in tribute to Nelson included a symposium on the world's food supply and an open house at Nelson Hall. Nelson, 75, retired in May, most recently as the Scholle Chair Professor in Food Processing after a 50-year career at Purdue. Nelson's work in food science brought him international acclaim in 2007 as the World Food Prize laureate. Often called the “Nobel Prize for Agriculture,” the award honored Nelson for his aseptic processing innovation. The system revolutionized food trade by reducing post-harvest waste and making seasonal fruits and vegetables available year-round and easier to transport worldwide. Moving the competition to a major land-grant university will enhance the prestige of the event, which also will draw on Purdue's expertise in wine, said Jeanette Merritt, wine marketing specialist in Purdue's Department of Food Science and marketing director for the competition. The building, dedicated in 1998 after a campaign that Nelson led for its construction, will be called the Philip E. Nelson Hall of Food Science. Largely designed by Nelson, it has been a model for other food science buildings in the United States. A symposium, special announcement and open house on July 15 will mark the retirement of Philip Nelson, the 2007 World Food Prize winner, from the Department of Food Science. NOAA is closely monitoring the surface and subsurface movement of petroleum and is expanding the closed area as needed. States are also closing harvest waters under their jurisdiction. At this point, there is no evidence to show that any contaminated product has made its way to the market. Other fields with above-average job growth through 2015 include food science, plant sciences, biological engineering, public practice veterinary medicine, specialty crop production, forest restoration, precision agriculture, crop management consulting, climate change analysis, distance education and natural resources conservation, Goecker said. Purdue University health researchers are partnering with other experts to better understand the role that beverages, such as sweetened, dairy, alcoholic and caffeinated drinks, play in the daily diet. The Hall of Fame Award honors alumni who have made a significant contribution to the varied fields of foods and nutrition and established a unique record in their work and life. Dr. Hamaker's research career has spanned many aspects of cereal component chemistry and its applications, though now focuses primarily on cereal carbohydrates and proteins related to topics of health and wellness. Lisa Mauer, an associate professor of food science, was awarded the 2010 Purdue Agricultural Research Award for her work in water-solid interactions, spectroscopy and shelf life of food for space missions. The award presenation and seminar will be held in the Dean's Auditorium at Pfendler Hall at 2:30 PM on Wednesday May 5, 2010. Spoilage, a general term defined as the point when food is no longer desired to be consumed, can be caused by bacteria or microbacterial processes that result when a product is exposed to high humidity or temperature, according to Kevin Keener, professor of food science at Purdue University in West LaFayette, Ind. The Queso2Go team was composed of Vaishnavi Chandrasekar, a master's student in food science; Katie Trevino-Zimmerman, a master's student in hospitality and tourism management; Jeffery Wells Lai, a junior in agricultural and biological engineering; Sonali Modi, a senior in chemical engineering; and Jacqueline Vahle, a senior in foods and nutrition in business. Their product is a breakfast quesadilla with authentic ingredients that features sealed sides for convenient eating on the go. "There are strong indications that requirements for many groups should be higher and that there should be specific requirements for different types of omega-3s," says Bruce A. Watkins, professor of food science at Purdue University in West Lafayette, Ind., and director of the International Omega-3 Learning and Education Consortium for Health and Medicine, an educational resource. For his numerous accomplishments and professional contributions to the food industry, the Minnesota IFT section proudly presented the 2010 Harold F. Macy Award to Dr. Kevin M. Keener of Purdue University. Professor Whistler contributed to many aspects of carbohydrate chemistry, but was best known for pioneering research on polymeric carbohydrates known as polysaccharides, and for promoting their industrial applications. For example, he foresaw the industrial potential of the guar plant, promoted it as a new commercial crop, determined the structure of the main constituent of guar gum, and was instrumental in the development of the guar gum industry. He also perceived the industrial potential of starch amylose and with Purdue Professor H.H. Kramer, a corn geneticist, developed the first high-amylose corn, now also a valuable commercial crop. He was a leading consultant to the corn-starch industry during its major development period, the post-war WWII years. He chaired the Crop Utilization Committee of Purdue's Agriculture Experiment Station in the 1950s and for 16 years its Institute for Agricultural Utilization Research. Dr. Richard Linton has been appointed to the Advisory Council of the Global Food Safety Institute (GFSI). GFSI, the only independent global network for consumer goods retailers and manufacturers worldwide, is a collaboration of leading food safety experts. The GFSI Advisory Council is composed of 12-16 members and it supports and provides expertise to the GFSI Board in their decision making process. the health benefits associated with those products. All of us remember where we were the morning of September 11, 2001 when our country came under terrorist attack. Years later, on December 3, 2004, Health and Human Services Secretary Tommy Thompson was quoted as saying "For the life of me, I cannot understand why the terrorists have not attacked our food supply because it is so easy to do.” These two events reminded us all about the importance of our food and water supplies and their vulnerability to contamination. This also started a movement toward building programs and networks to protect our food supply from the possibility of an intentional attack from biological, chemical, physical and/or radiological threats. Since this time, there has been a lot of good information and collaborative programs that have strengthened food protection and defense from both intentional as well as inherent threats in food. The focus of this article is to make you aware of some of the food protection and defense efforts that are ongoing in the United States. A pair of World Food Prize Laureates, Philip Nelson (2007) and Gebisa Ejeta (2009), both Purdue University College of Agriculture faculty members, will speak on the topic "Assuring Global Food Security." The luncheon, scheduled for Feb. 6, begins at 11:30 a.m. in the Toyota Blue Ribbon Pavilion at the Indiana State Fairgrounds in Indianapolis. According to Yao's study, PG-OS nanoparticles with ε-polylysine significantly increased the amount of time it took for oxidation to ruin the oil droplets, in some cases doubling the shelf life of the model product. Shelf life was tested by warming the emulsifiers and checking for chemical reactions that signal oxidation has occurred. "His expertise has saved four companies from closing, saved nearly 1,000 jobs and resulted in saving the companies approximately $8 million per year," Nielsen said. "He's also saved food processing plants, on average, $500,000 from water and wastewater costs and facilitated approximately 250 million pounds of poultry exports annually for the U.S."
What is a home based vendor (HBV)? A home based vendor is a term that the state department coined within the guidance document to capture the intent of the new law. It simply means someone who prepares a non-potentially hazardous food in their primary residence and sells it only at a farmers market or a roadside stand. Gebisa Ejeta didn't set out to receive worldwide acclaim for his agricultural research. The Purdue University Distinguished Professor of Agronomy's sole focus was on helping fellow Africans - especially those in his native Ethiopia - grow enough food to feed themselves. Purdue University's College of Agriculture will host the fifth annual Townsend Debate on Oct. 29, when students will argue whether organic food is a better choice for consumers. Each week, hungry participants line up at the Sensory Evaluation Laboratory in the basement of Purdue's Food Science Building. There, good ideas go to be tasted and tested. And there, bad food experiments go to die. Companies use the lab to attract panelists with free food samples and treats in exchange for opinions. "This is an excellent opportunity to make higher education even more accessible to Indiana students," said Dale Whittaker, associate dean and director of the Office of Academic Programs in Agriculture at Purdue. "We anticipate increased job demand in the future in fields in the life sciences, including agriculture, and this program will help provide more career-ready college graduates." Those graduating with degrees in agricultural and biological engineering fields reported the highest average starting salary, at $47,817. Food science majors were second, at an average starting pay of $47,500 a year, while agricultural economics graduates ranked third, at an average of $43,307 per year. 2007 World Food Prize Laureate Dr. Philip Nelson will be speaking at the American Food Venture Forum in Des Moines, Iowa. The radiant oven "fries" food without using additional oil, cutting fat and calories while producing a product that tastes and looks the same as products cooked in traditional oil baths. The radiant energy can be fine-tuned for each product to cook it precisely. The workshop will be from 8 a.m. to 4:30 p.m. EST Oct. 8 at the Allen County office of Purdue University Extension. Workshop sessions will include topics such as organics, processing and packaging, food safety, and regulation..
"This model may be used as a pre-emptive screening tool at very little cost before you do expensive tests on animals or humans," said Ferruzzi, whose findings were published in the early online edition of the journal Food Research International. "If you want to get human screening off the ground, it takes months. If you want to use this model, it takes hours." FDA believes the new regulation is an important step to prevent the estimated 79,000 – 142,000 cases of foodborne illness and 30 deaths caused by consumption of eggs contaminated with Salmonella Enteriditis each year. "People have heard of Omega-3s, but they don't understand what Omega-3s are, the types of Omega-3s in food and how to use them for better health," Watkins said. "There are different types of Omega-3s needed throughout the lifetime. We're trying to help consumers with information that will help them make good decisions throughout their lives." The primary intent of the website is to provide information and training materials relative to food safety and safe food handling for retail food establishments and foodservice operations. The RFSC is dedicated to providing food safety information to regulator, educators, and food industry professionals who serve the retail food industry. At the annual Association of Food and Drug Officials meeting this past June, the new website was launched. To date, there are links to over 1000 different resources important to retail food safety stakeholders. "The mystery of this situation is how this strain of bacterium, which normally lives in animals like cattle, deer and sheep, is connected with a product like cookie dough," says Bruce Applegate, a Purdue associate professor of food science and co-founder of a company in the Purdue Research Park that studies food-borne pathogenic bacteria. Dr. Ejeta is the second Purdue professor to receive the World Food Prize in three years. Dr. Philip Nelson, the Scholle Chair Professor in Food Processing and former head of Purdue's Department of Food Science, won the award in 2007 for developing aseptic bulk storage and distribution, a technology for transporting processed fruits and vegetables without product spoilage. Arun Bhunia, a professor the Department of Food Science, is the winner of the 2009 Research and Development Award from the Institute of Food Technologists, a nonprofit international society with more than 20,000 members. The Institute of Food Technologists recognized Bhunia's work in detection of food-borne pathogens, including the development of a biosensor that tests foods on-site for bacteria. He will receive a plaque and $3,000 at the institute's Annual Meeting and Food Expo on June 6 in Anaheim, Calif.